A question we are often asked is what size office should we lease? A quick google search for the term threw up literally hundreds of sources, articles and comments on the topic in the last year alone. The true answer is – there is no one single answer to this question. However it is a fundamental question when you are searching for new premises. And why you need to talk to your office fit out company before you start your property search. You may think that you only need “your office design and fit out guys” when you’ve signed your lease but nothing could be further from the truth. With many commercial leases in Australia starting at 3 years and in some cases extending to 10-year leases – wouldn’t you consider that getting space/workforce ratios correct before you sign on the dotted line would be critical? There are many factors that must be taken into consideration when determining the space you will require for your office fit out and therefore many questions that an office design expert will ask before offering an answer. Below is a list that gives a good idea of the fundamental “need to knows”. Basic right? The follow-up question though, is the most important in this equation; how do you see your company / organisation evolving over the next 5-10 years? There is no point leasing office space to suit your “now” needs when those needs are projected to double. Allowances and future plans have to be created and assessed. How large are your workstations? Do your current workstations fit your requirements? Would you prefer larger workstations or could they be smaller? Are your staff hours becoming more flexible or fixed and therefore do you need less workstations to suit only the hot-desking needs of flexible staff or more desks in total? How many meeting rooms and what size meeting rooms do you need? Do you conduct staff meetings once a week where you need space for 4 or for 20? Would it be more cost effective to have less meeting rooms as you usually meet clients on their premises? 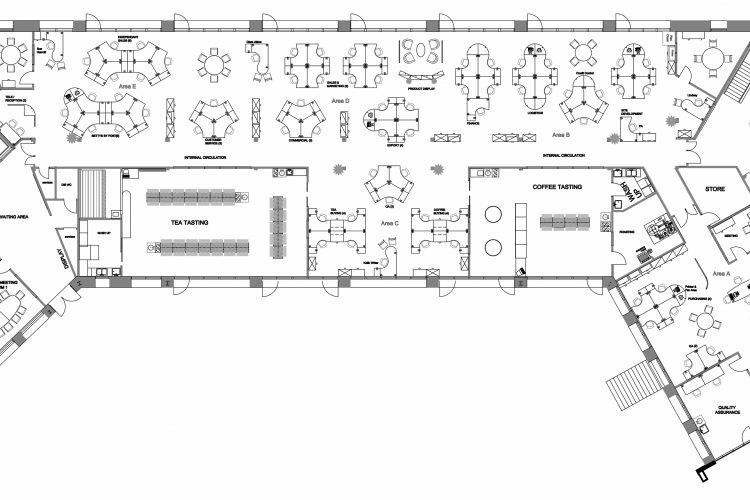 Do you need a conference or training room as part of your meeting room plan? Could meeting rooms be substituted with private meeting pods that allow flexibility outside of meeting times. How many offices do you need? Are you wishing to move towards a less hierarchical workplace? Do you need less offices or more offices? What is the office to workstation ratio. Do you need a reception area in your office? If so, how many people will occupy the reception desk at any one time? Does the reception desk require multiple computers and phones? Does your office require a waiting area? Does that waiting area need technology such as television or screens? Do you need executive lounges for your customers, clients or guests or will standard seating suffice? The amount of toilets required? How big will your kitchen facilities and common area be? Are you looking to encourage socialisation over mealtimes with bench seating or do your staff take this opportunity to leave office. Design and fit outs are far more economical in square or rectangular buildings as the geometry allows for little wasted space. Circular and triangular buildings, whilst being architecturally interesting and a talking point, mean that there will be a great deal more wasted and unusable space within the office area. The actual space available to fit out. The NLA (net lettable area) often differs considerably from the actual usable office space. For example, you actually pay for the space occupied by structural columns, and the space used by window sills all the way to the face of the external glass. Again, by engaging your office design and fit out company before choosing a property, you will be able to utilise their extensive experience in accessing and measuring the actual usable office space available for your fit out. Your company may have standards already set in place. If you’re from the government sector, a multinational or a state division of a corporation then you almost certainly do. Hopefully, you now understand the complexity of that seemingly simple question. There are many factors that affect what size office of space you need to lease and each client is different. The most salient answer is to engage your office it out company before you contact property managers or agents. They will be your staunchest ally and ensure that you lease the best property to suit all of your existing and future requirements.